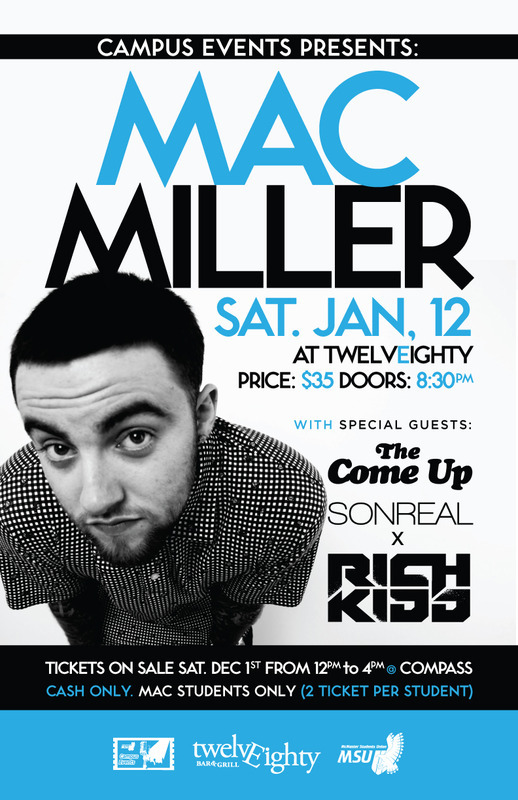 On Saturday, January, 12, 2013, Mac Miller with special guests The Come Up, SonReal x Rich Kidd will be coming to McMaster to kick off the beginning of second semester! Ticket Information: Tickets will be sold at Compass for $35 on a first come first serve basis beginning Saturday, December 1, 2012. Tickets are currenlty 75% sold out. The remaining tickets are available at Compass. Concert Information: Doors of TwelvEighty will open at 8:30PM. This is a McMaster Students only concert! Students must present their student cards at the door. No guests will be allowed into the concert. Is saturday the only day tickets were being sold ?